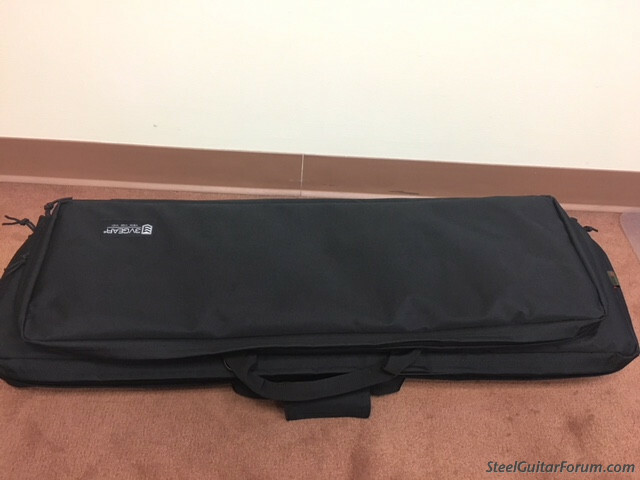 Soft case for lap steel and stand? 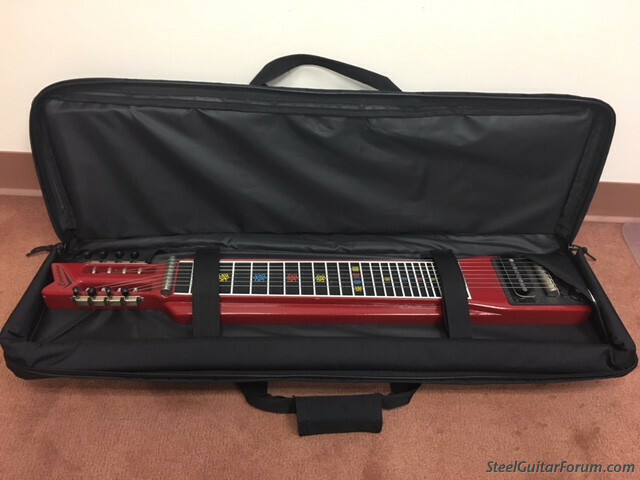 Topic: Soft case for lap steel and stand? 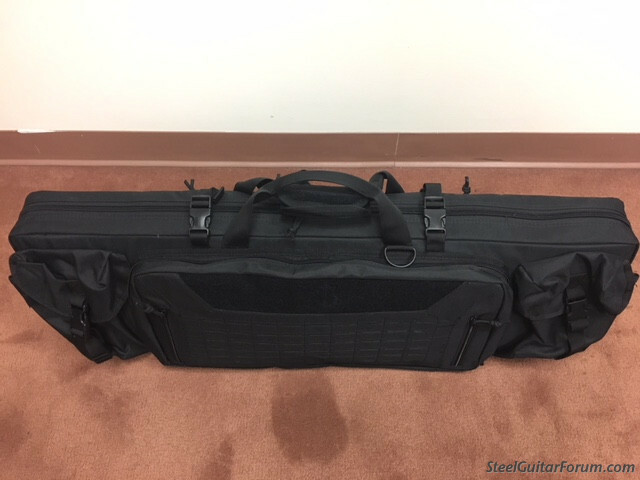 Seems like this two compartment case might be useful for a guitar and stand or legs. Both have a heavy duty handles and shoulder straps and the larger bag has back-pack straps (though carrying a D8 console on your back is not what I had in mind!). 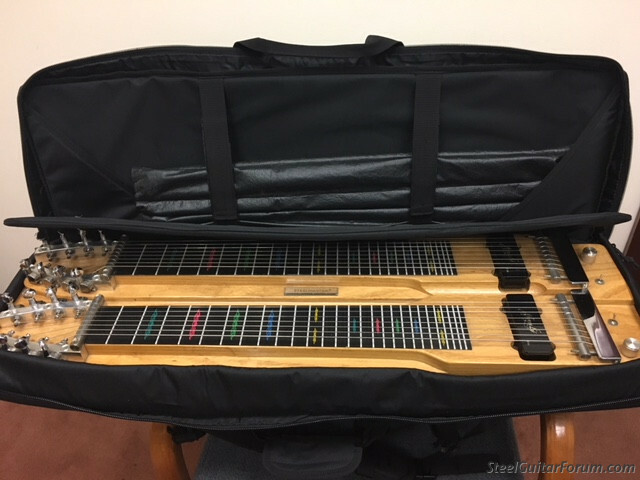 Some of the hard rifle cases can be good to pack a lap steel for flying and some have pick-out foam to form fit for the instrument---check out those from Plano Mfg. thru Amazon. Best news is that these are all in the $50-60 range -- much cheaper and/or more protective and practical than comparable bags made for small keyboards or the few that are made for specific lap steel brands. Important: measure your steel and check out the internal dimensions of the bag listings very carefully, including some posted in the comments and reviews that might conflict with the "official" internal measurements. It's worth looking at a lot of bags to find as close to perfect fit as you can. you may want to check chromacast. i found a good deal on a gig bag for a uke. i purchased thru amazon tho. please see my Snakeskin's Virtual Music Museum below.